Our product range includes a wide range of Precision Rolled Ball Screw, Ball Screw and Rolled Ball Screw. 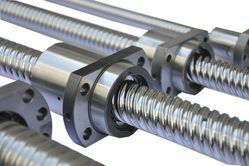 At a high level, ground and rolled ball screws appear to function nearly identically within a wide range of mechanical applications. 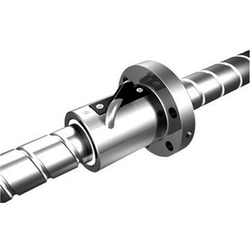 However, the raceway surfaces, which are very similar to traditional machine screw threads found in a typical screw/nut system, are differentiated by the manufacturing process used to create these features. 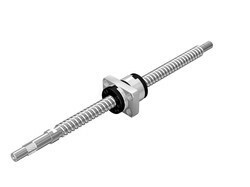 Apart from the hardened ball bearings that make rotational motion possible, a ball screw system consists of two basic components: the leadscrew which possesses external threads and the ball nut which possesses internal threads. A grasp of the two distinct manufacturing processes used to fabricate these components is the key to understanding both the strengths and limitations of rolled and ground ball screws. 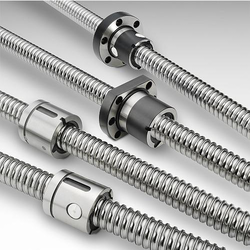 With the world's leading Ball Screw, NSK has been contributing to industrial growth. NSK Ball Screws were developed through cutting-edge tribology (friction control technology), and NSK manufactures the largest volume in the world with its outstanding production and quality control techniques. We offer a complete selection of Ball Screws, from miniature to ultra-large sizes, for machine tools, injection molding machines, and general machinery as well as for use under special environments, such as semiconductor and LCD production equipment. 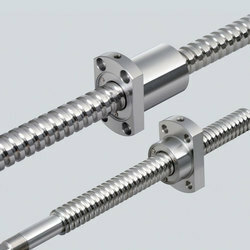 We are supplier of Precision Rolled Ball Screw. Precision Plus Ground and Whirled Ball Screw Assemblies are the highest precision product available, with standard lead accuracies of ±6µm/300mm. These ball screw assemblies feature a FL-Style ball nut, precisely preloaded to customer specifications. 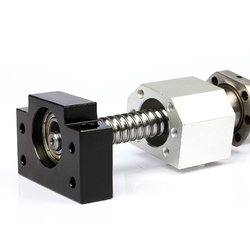 This unique nut design provides high repeatability and high stiffness for the most demanding ball screw applications. Each nut comes standard with an integral Delrin wiper to protect against chips and other debris.